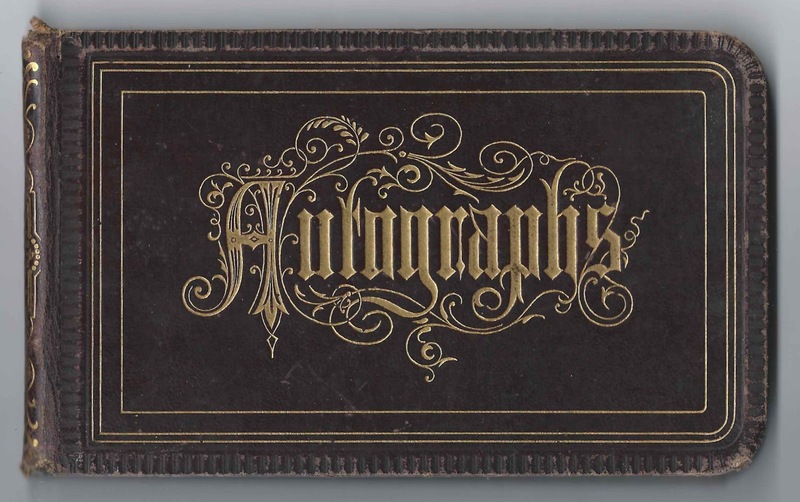 1870s/1880s autograph album of Hattie Matthews of Hampden, Maine, and Caribou, Maine. 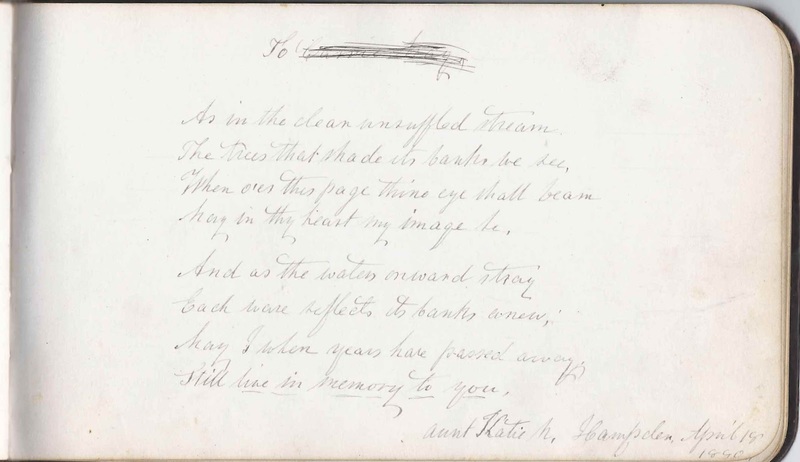 The album is approximately 7" x 4-1/4" and contains the sentiments of 32 of Hattie's relatives, friends, classmates and teachers. An alphabetical list of the signers appears at the end of this post. 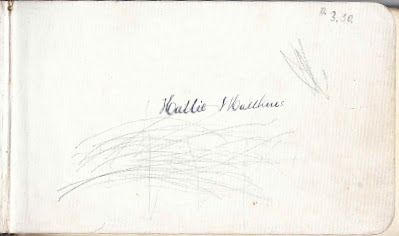 Harriet Holmes Matthews, "Hattie", was born about December 1870 at, I believe, Hampden, Maine, the daughter of Samuel Worcester Matthews and Mary A. (Webb) Matthews. Samuel's father, Asa Matthews, came to the Hampden area from Searsport, Maine, to become principal of Hampden Academy. 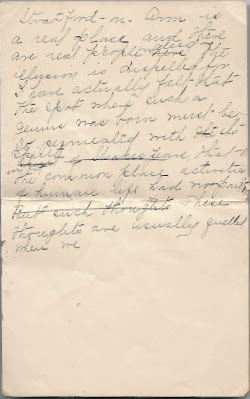 I haven't found much on Hattie's mother Mary A. (Webb) Matthews, except that there was a Mary A. Webb living in the household of Daniel and Abby Stone in the 1850 Census of Hampden, Maine. 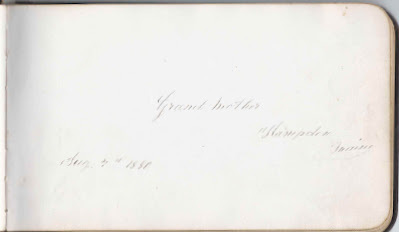 One of Hattie's grandmothers, possibly her paternal grandmother, Maria Shaw (Lane) Matthews, inscribed a page in the album, at Hampden, Maine, in August 1880. Maria lived until 1895. 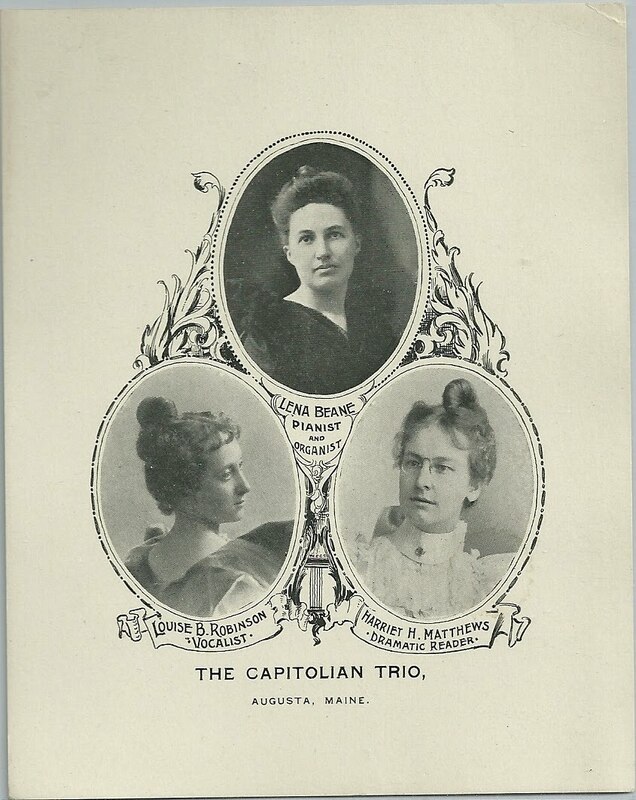 About 1879, Samuel Worcester Matthews took his family to Caribou, Maine, where he opened a law practice and eventually started a newspaper, the Aroostook Republican, that is still published today. The 2013 Aroostook edition of Discover Maine magazine carried an article by Charles Francis about Samuel Worcester Matthews on pages 48 and 49. In 1887, Samuel Worcester Matthews was appointed the Commissioner of the Maine Bureau of Labor and Industrial Statistics at Augusta, Maine. I'm wondering if Hattie Holmes Matthews was the Hattie H. Matthews who was a member of the Capitolian Trio of Augusta, Maine. It seems logical that, even though the Worcesters maintained their Caribou home, the family would relocate to Augusta, especially since Matthews put in long hours at his new position. If so, perhaps the sheet tucked in the album, on letterhead of the Golden Lion Hotel at Straford-on-Avon, was the basis of one of Hattie's dramatic readings. 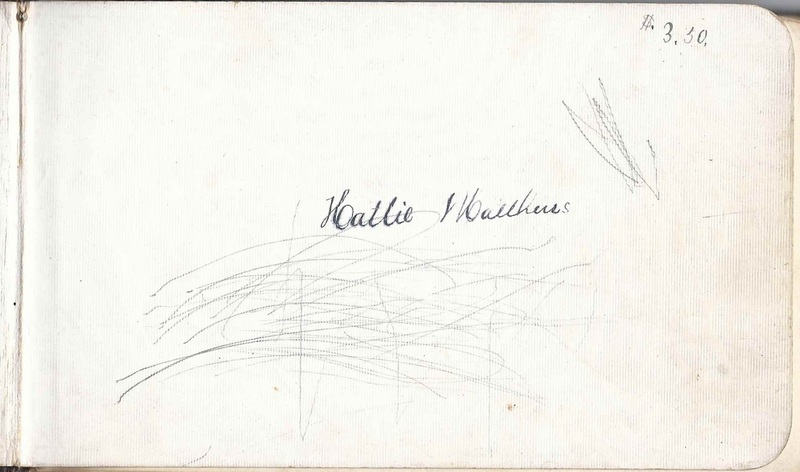 On 12 July 1899 at Springfield, Massachusetts, Hattie Holmes Matthews married Sherman I. Graves, son of Charles E. and Mary Jane (Randall) Graves. Sherman was born at Bowdoinham, Maine, about December 1868. Sherman was an educator and school superintendent who held positions at Springfield, Massachusetts; New Haven, Connecticut; Brunswick, Maine; Mexico, Maine, among others. The couple had, I believe, two children, a son and a daughter. I believe Sherman died in 1945, and Hattie in 1952. 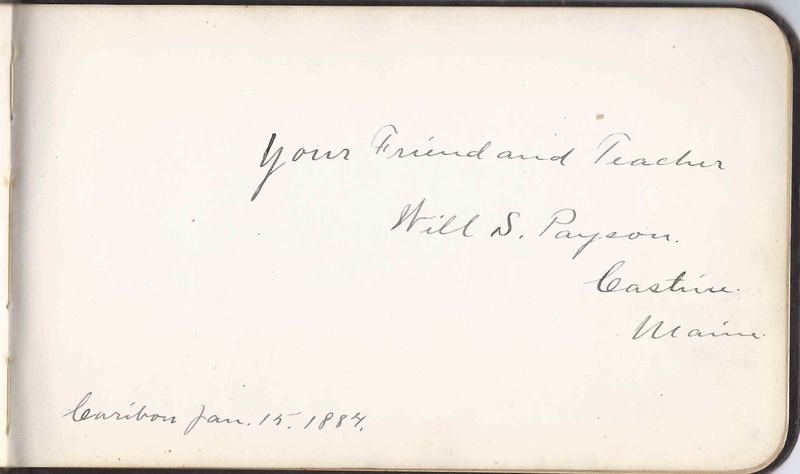 One of Hattie's teachers at Caribou, Maine, was Will S. Payson of Castine, who signed at Caribou on January 15, 1884. He had married Abbie L. Davis of Castine on May 27, 1883. The son of Darius Augustus Payson and Mary Eliza (Hobbs) Payson, he eventually turned to a career in dentistry. 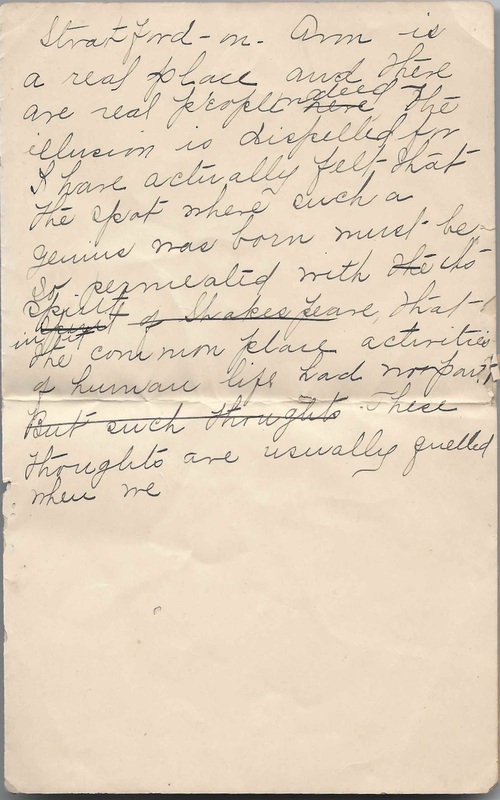 Lida R. Doane of Hampden, Maine, signed on December 31, 1878. Daughter of Calvin and Mercy Doane. Her formal name may have been Elida. Charles F. Files of Caribou, Maine, signed on December 20, 1885. 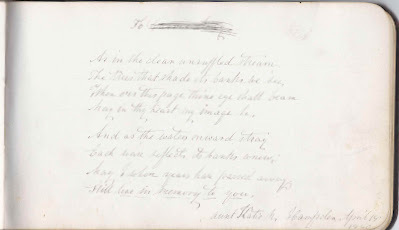 Charles A. Nason, signed on April 13, 1880. 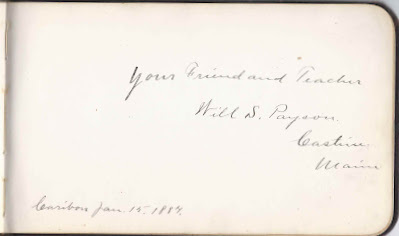 Will S. Payson of Castine, Maine, signed at Caribou, Maine, on January 15, 1884; Hattie's teacher. He was a teacher who later became a dentist; married Abbie L. Davis of Castine. He was the son of Darius Augutus Payson and Mary Eliza (Hobbs) Payson. Fred Preble of Bangor, Maine. Middle initial appears to be C or E.
George Ray of Bangor, Maine, signed on September 1, 1887 [not sure of last digit] "This summer in Northport"
Clara Rogers of Hampden, Maine, signed on July 2, 188 [last digit unreadable]. Clara Rogers, born about 1869 at Hampden, Maine, daughter of druggist Frank and Georgiana (Higgins) Rogers. J. S. Spaulding of Caribou, Maine. Perhaps John Sterling Spaulding, born about 1869, son of William and Lavina (Sterling) Spaulding. 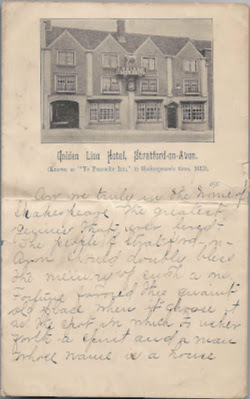 John married Harriet Burpee on 29 November 1892; he died 15 December 1896.